Happy Easter! This is the day the Lord has made! Let us rejoice and be glad! St. Paul tells us that the Resurrection of Jesus is the very heart of our Christian faith. In the Risen Jesus we are assured of our own bodily resurrection and eternal life. In fact, Paul claims that if Jesus is not risen our faith is in vain and we are of all people the most to be pitied for we have wagered our one and only life on a pipe dream, an impossibility, or, at least, on a failed first century experiment that ended in the grave. So, the Church universal spent last night in vigil until we greeted the dawn of the New Creation with the “Exultet,” the Church’s triumphal hymn to the Paschal Candle, symbolizing the Risen Christ, entering the darkened Church in solemn procession to be enthroned in our midst, finally dispelling by its peaceful light the gloom of death that had settled over creation with the sin of our first parents. The two disciples run to the tomb. The first to arrive, the Beloved Disciple, looks into the open tomb and discovers it is not empty as Mary had surmised. The linen burial wrappings of Jesus are there, empty of his body! Then Simon Peter arrives, goes into the tomb, and sees the empty burial wrappings -- and something else, not visible to the Beloved Disciple from outside, namely, the veil that had been placed over the face of the dead Jesus. The death veil is carefully and definitively wrapped up, and placed apart from the burial clothes, in a special place of its own. Peter apparently comes to no insight from what he saw. But when the Beloved Disciple, who has not yet entered the tomb, goes in and sees what could not be seen from outside, namely, the face veil now definitively retired from service, the evangelist says that the Beloved Disciple “saw and believed.” This is a technical theological phrase in John’s Gospel. To “see and believe” is to have grasped divine revelation in and through some sensible reality, some “sign,” and to have responded with living and saving faith. Then, surprisingly, we are told that the disciples, these two like Mary Magdalene, did not yet understand the scripture that Jesus must rise from the dead. And they, like Mary Magdalene, leave the tomb. What are we to make of this seemingly pointless story? What has it to do with the Church’s triumphant proclamation of the Resurrection? Actually, a great deal -- indeed, in one sense, everything! In this story we, today, must make the transition from the life of the pre-Easter Jesus shared by his first-century disciples (and which we read about) to the life of the actually Risen Jesus -- in which we now share. If we fail to make that transition our faith becomes merely a remembrance of things past rather than a life shared with the living Jesus in the present. But to understand this message we need to read this narrative in depth, with the eyes of faith, which emphatically does not mean credulously or naively or unscientifically. It means to read, to hear, to see not just with our physical senses, or even with our inquiring and educated minds, but with our whole being -- not as we sensibly perceive a rock in a garden, or even as we intellectually understand a scientific theory, but as we comprehensively receive a friend or a spouse in personal revelatory encounter. In this episode the Greek language of the text makes this distinction among kinds of seeing clear in a way that does not carry over very well in English translation. Greek has three different words for “see” corresponding to three types of “vision” of an object seen which, in turn, correspond to three “experiences of knowing”. In this passage one of these three words for “see” is used for Mary Magdalene’s physical vision of the open tomb and the Beloved Disciple’s vision of the empty burial linens from outside the tomb. The second word for see is used for Simon Peter’s inquiring vision of the burial linens and face veil from inside the tomb. The third verb is used for the Beloved Disciple’s revelatory vision, upon entering the tomb, of the definitively set aside face veil which leads to “seeing and believing,” that is, the response of salvific Easter faith in the revelation of the Glorification of Jesus. We make this same distinction in meaning among sensible, intellectual, and wholistic revelatory seeing in English, but we often use the same word, “see”, for these very diverse experiences. So our English translation can obscure the distinction among the three types of perceiving in this episode – a distinction which the Evangelist is careful to emphasize for us the readers. So, what did the Beloved Disciple, unlike Mary Magdalene and Simon Peter, “see,” which brought this disciple to Easter faith.? The Beloved Disciple, the Gospel’s prototypical believer, saw the veil, which had been placed over the face of Jesus, definitive testimony among the Jews to the finality of death, to the final separation of the dead from the living -- and which the reader of John’s Gospel remembers was still over the face of the resuscitated Lazarus when Jesus had called Lazarus back to earthly life, because, of course, Lazarus would die again. The Beloved Disciple sees the face veil of Jesus definitively rolled up, set aside, no longer needed because its wearer, Jesus, is not dead, nor resuscitated, nor will he ever die again. Unlike Moses who had to place a veil over his face to shield the Israelites in the desert from the glory of his face after he had conversed with God on Sinai, Jesus is truly and fully and definitively bodily alive in the glory of God. The veil of his earthly flesh is no longer necessary and his death veil has lost its meaning. And in the next scene, the encounter of the Glorified Jesus with Mary Magdalene, the full meaning of Jesus’ Resurrection as his return to his own, the completion of his personal Glorification which was his going to God, will be revealed. But for now, the Beloved Disciple (who is in John’s Gospel the representative of all Jesus’ true disciples, male and female, down through the ages) sees what neither Mary Magdalene nor Simon Peter could see: that Jesus has not been stolen as a dead body, has not been physically resuscitated like Lazarus who would have to die again, but has been truly glorified in God’s presence with the undying life that the Son, the Word of God become flesh in Jesus, had -- and still has -- with God from all eternity. In other words, on the basis of what the disciple saw, the face veil representing Jesus’ pre-Crucifixion historical mortality, definitely set aside, the Beloved Disciple believed what was being revealed: namely, that Jesus is not dead; his project neither failed nor terminated. Jesus is totally alive in God in the full integrity of his glorified bodily humanity. How believers, down through the ages, will experience Jesus living and acting in their midst is still to be explored and explicitated in the rest of the Resurrection Narratives and down through the centuries of Christian experience. But that Jesus is alive is now revealed. As the story unfolds through history his disciples will learn that the Bread they taste in Eucharist, the Gospel they hear in Scripture, the friend, or spouse or suffering neighbor they see and touch in community and ministry -- indeed, all the sacramental experience of their life of faith -- is real contact with the living Jesus who is bodily risen in our midst. This sacramental revelation of Jesus alive in our own experience is just as real, indeed more real because no longer limited by death, as was the vision of Jesus’ pre-Easter disciples who walked the roads of Galilee with him or even his post-Easter disciples who would eat with him at Emmaus, touch his glorified wounds, receive his missioning breath, hear his commission to be and promote community as his living Body in the world. On this Easter morning, as we, the living body in this world of the Risen Jesus, sing the “Alleluia” we will someday sing in the presence of the Glorified Lord, let us lovingly renew our faith and hope that what we see with our eyes, hear with our ears, taste as our food, touch with our hands of the Word of Life is indeed the One who is already risen in our midst. On this day which the Lord has made, let us rejoice and be glad! Happy Easter! Sandra Marie Schneiders, IHM is professor emerita of New Testament Studies and Christian Spirituality at the Jesuit School of Theology (JST) of Santa Clara University (SCU). 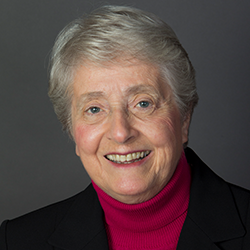 Graduating in 1975 with an STD from the Pontifical Gregorian University in Rome, Dr. Schneiders became one of the first two women post-Vatican II to earn a terminal degree from a pontifical university. In 1976, Dr. Schneiders began her forty- plus-year career of teaching in Berkeley, California at JST, where she became the first non-Jesuit and first woman to earn tenure. As the author of nearly one hundred academic articles, more than a dozen books, and over seventy chapters in edited monographs, she has emerged as a senior scholar in fields ranging from Johannine literature to hermeneutics, feminist biblical interpretation, spirituality of religious life, and the theory of spirituality as academic discipline. She helped establish the first doctoral program in Christian Spirituality at the Graduate Theological Union, an interreligious consortium of seminaries (including JST), theological institutes, and centers for religious study associated with University of California, Berkeley. 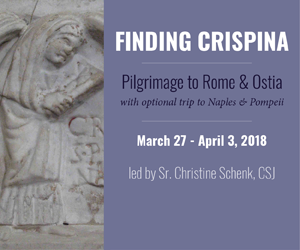 As an ongoing series editor of the Classics of Western Spirituality, she encourages the growth of outstanding scholarship in the discipline by continuing to build the premier collection in English of introductions to key figures in religious history with critical editions of their primary texts. 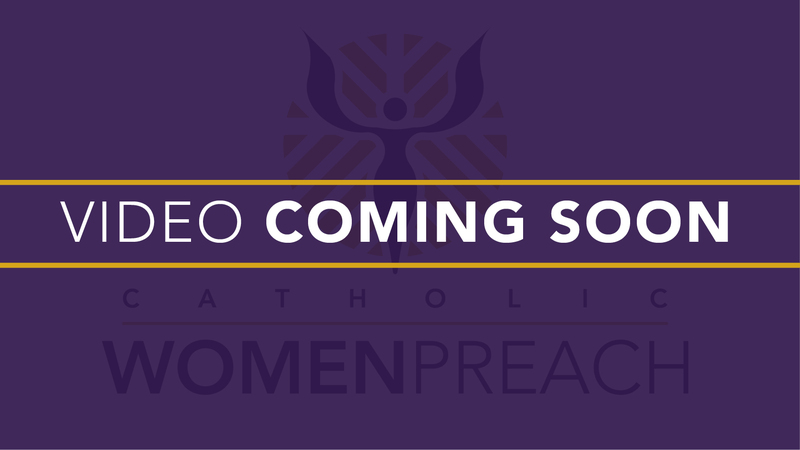 She has received dozens of honors, including the Yves Congar Award for Theological Excellence (2014), the Monika K. Hellwig Award for Outstanding Contribution to Catholic Intellectual Life (2013), and the Leadership Conference of Women Religious Annual Outstanding Leadership Award (2012). In 2015, Dr. Schneiders donated her personal papers to the Archives & Special Collections at SCU to mark the library’s first collection by a woman religious. In May of 2018, SCU will confer upon Dr. Schneiders her sixth honorary doctorate, at which time she will also address the graduating class at JST as keynote speaker.